prepares students to prevent and treat communicative disabilities as speech-language pathologists and audiologists. The University of Illinois Speech Clinic began as an outreach program in a janitor's mop closet in Lincoln Hall in 1938. Dr. Severina Nelson could find no other space to conduct her speech therapy. Two years later, with the title of director of the speech clinic and a $2,000 grant, Dr. Nelson moved the clinic to a spacious new office in Gregory Hall. The Speech and Hearing Clinic was later housed in the Lorado Taft House where it remained until it moved to its present building in 1975. In 2007, the Speech-Language Pathology Clinic moved to a new, expanded, state-of-the-art facility located in Research Park. 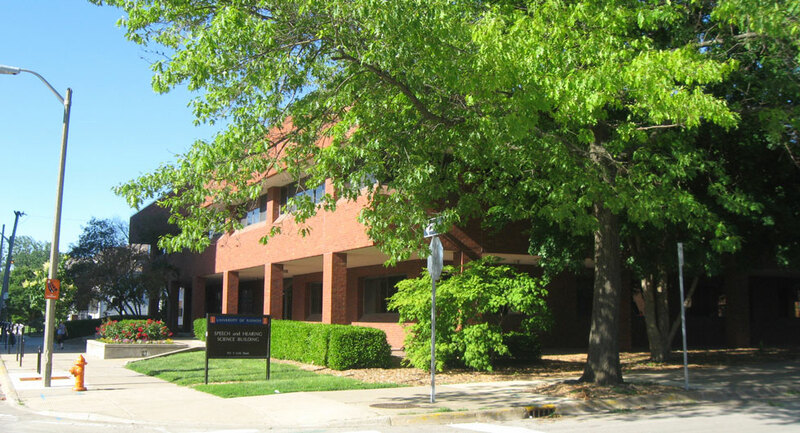 The Audiology Clinic and the Department of Speech and Hearing Science remain in the Speech and Hearing Science building.